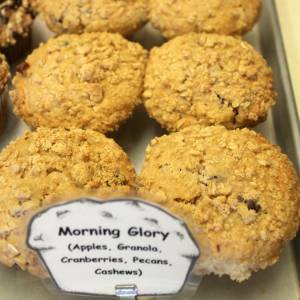 No act against noxious weeds is going to stop the spread of this invasive muffin. This wonderful hippy delight fits all the great things about Washington state in the palm of your hand: apples, granola, cranberries, nondescript ingredient, etc. It’s also edible. Always a plus in a muffin. Whether you’ve got wood teeth, or a natural set of chompers, this muffin will brighten your day and enhance the dawn.